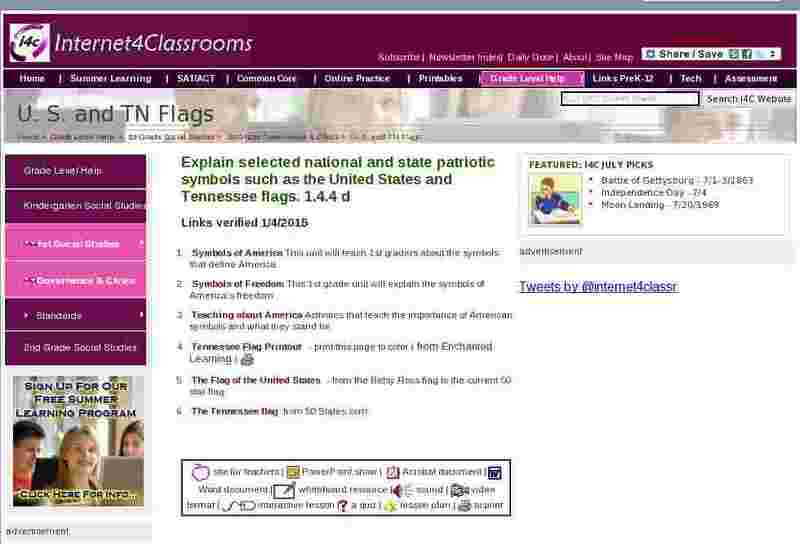 Symbols of America This unit will teach 1st graders about the symbols that define America. Symbols of Freedom This 1st grade unit will explain the symbols of America's freedom. Teaching about America Activities that teach the importance of American symbols and what they stand for. The Flag of the United States - from the Betsy Ross flag to the current 50 star flag.